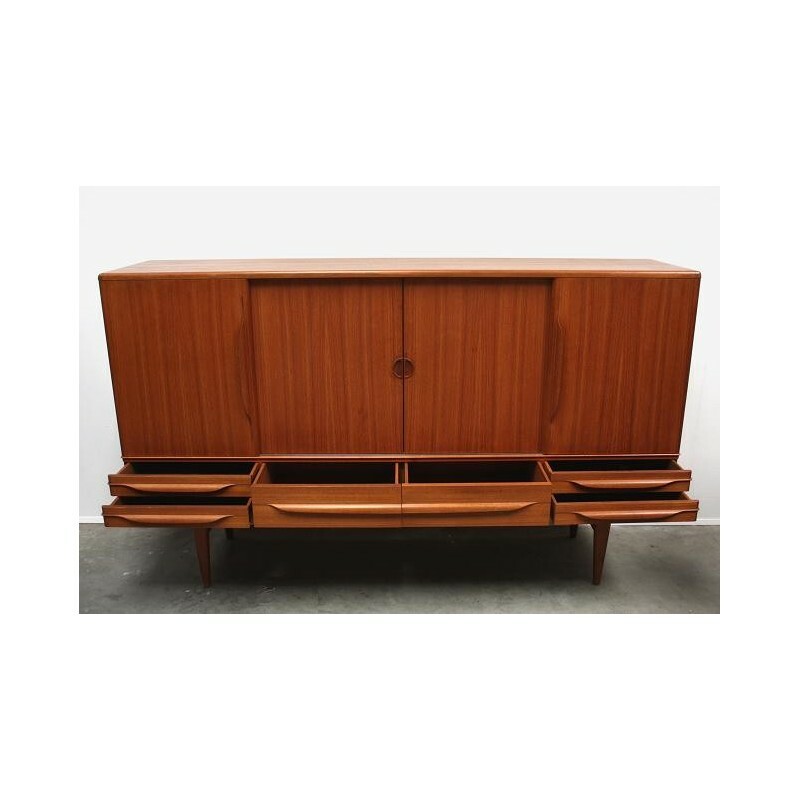 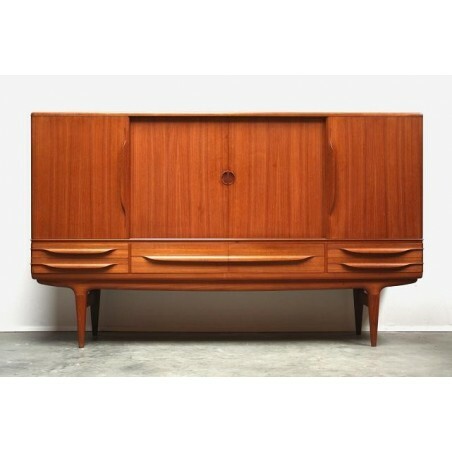 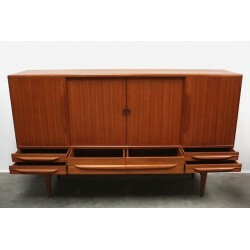 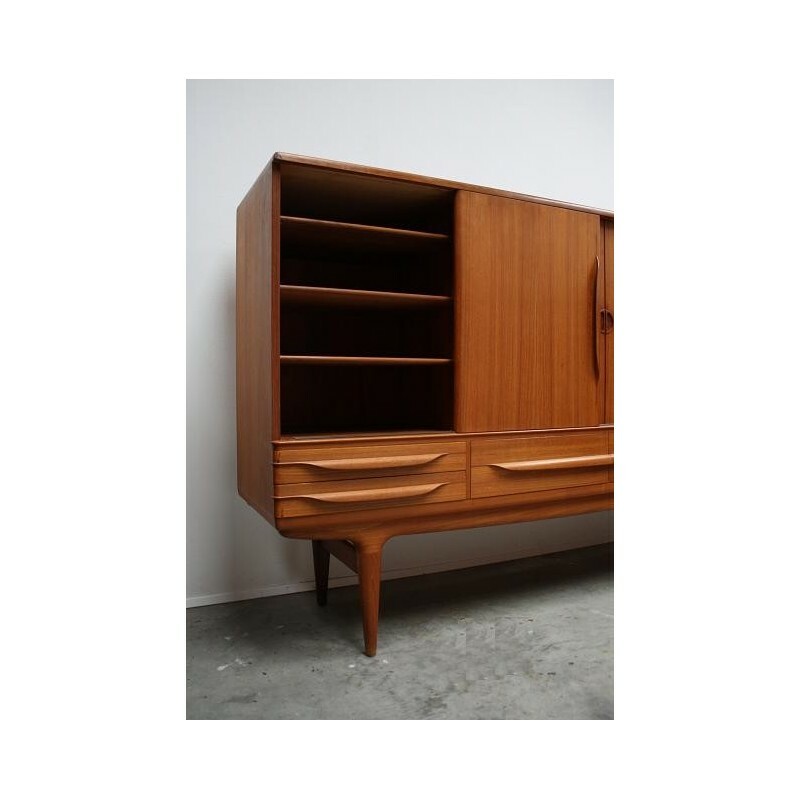 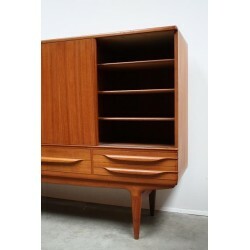 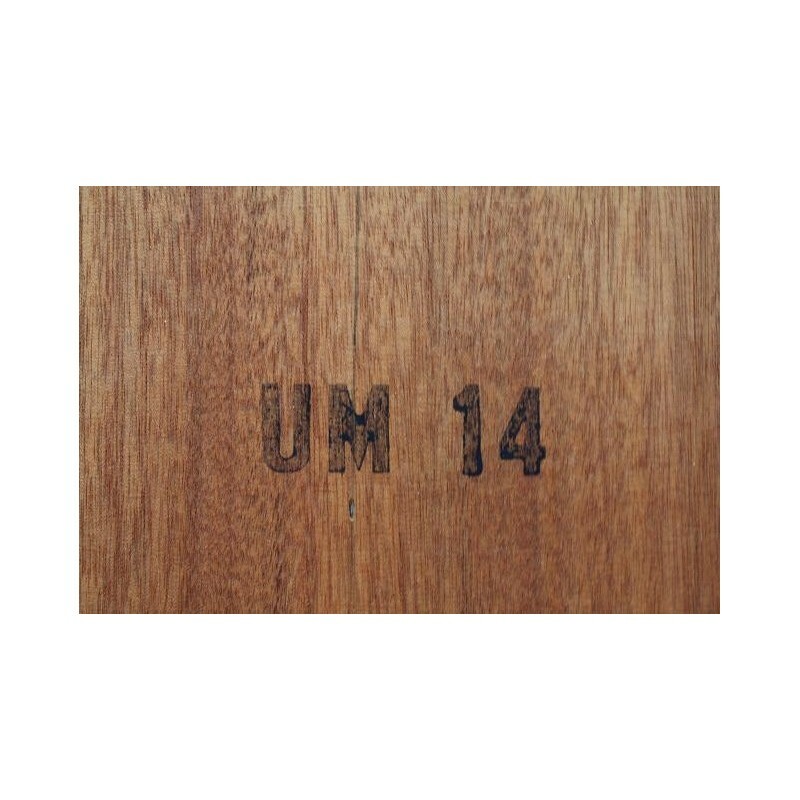 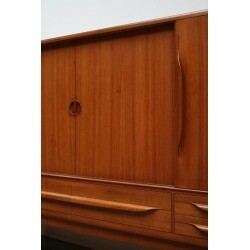 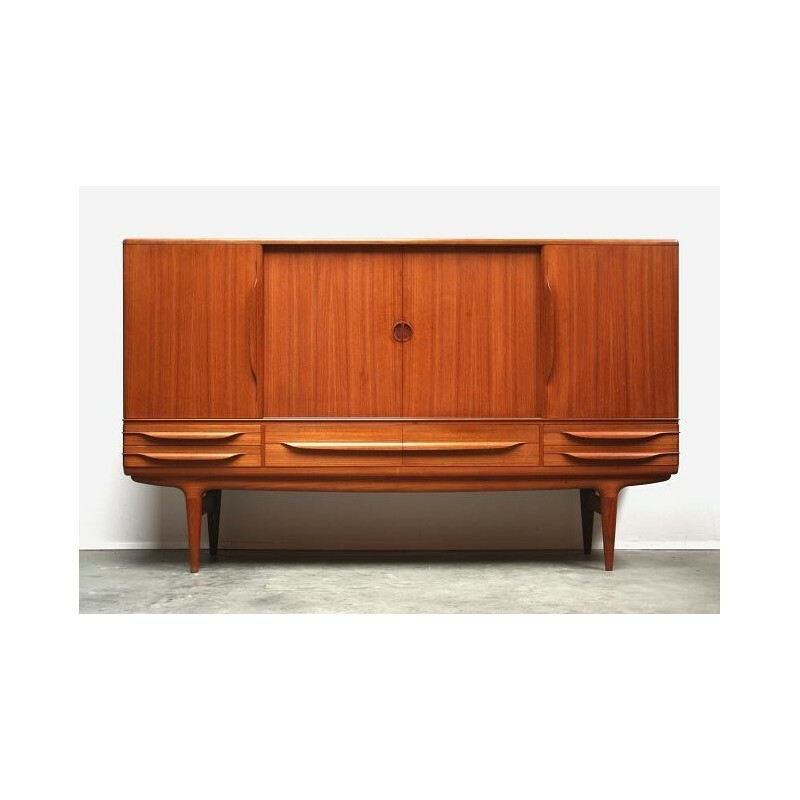 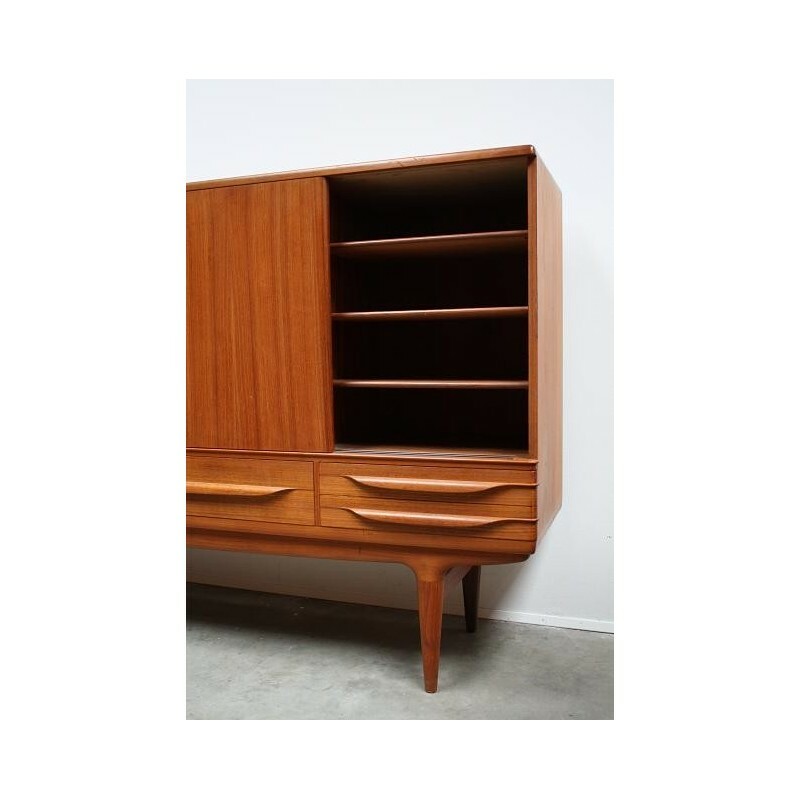 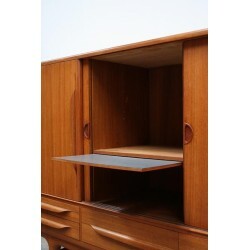 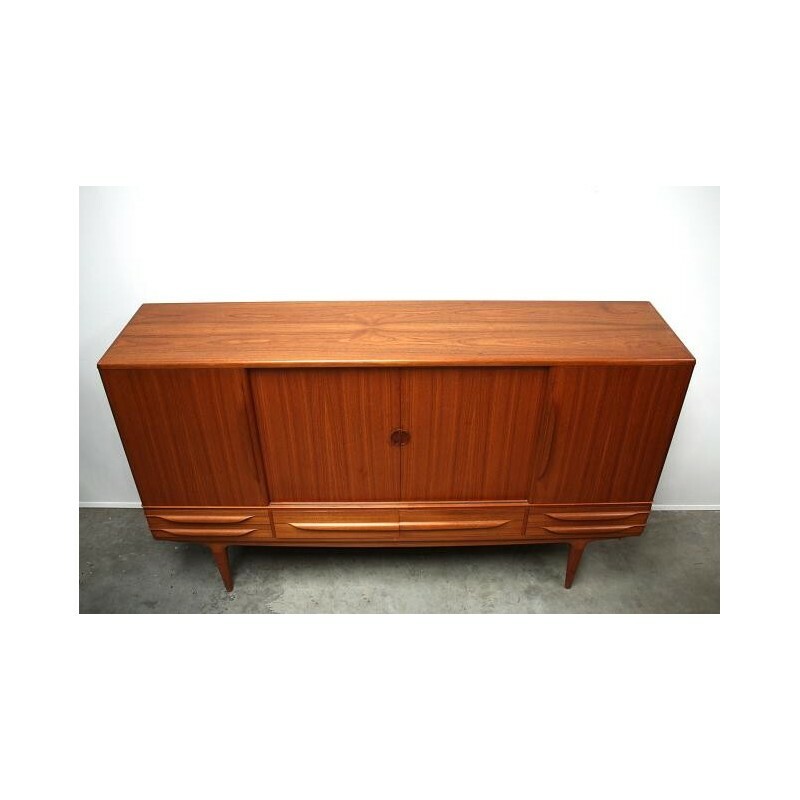 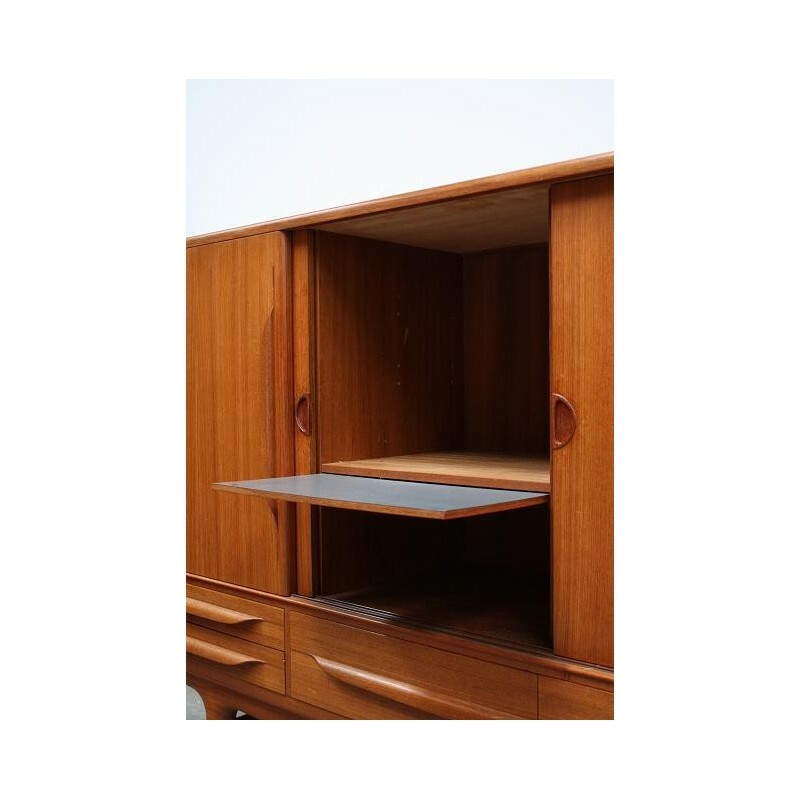 Design sideboard made in teak from the designer Johannes Andersen for the Uldum Mobelfabrik, model UM 14. 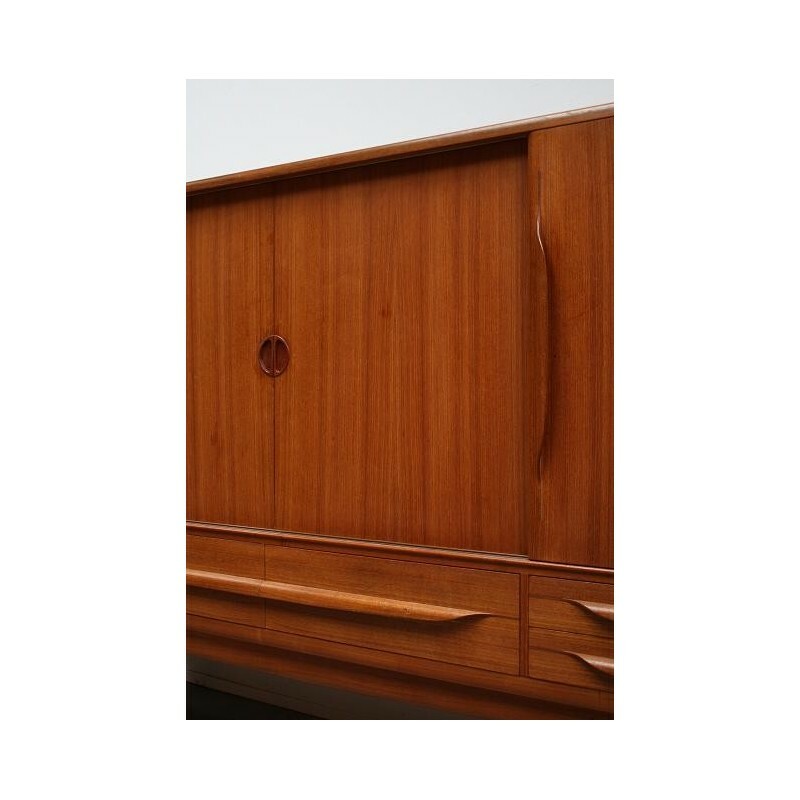 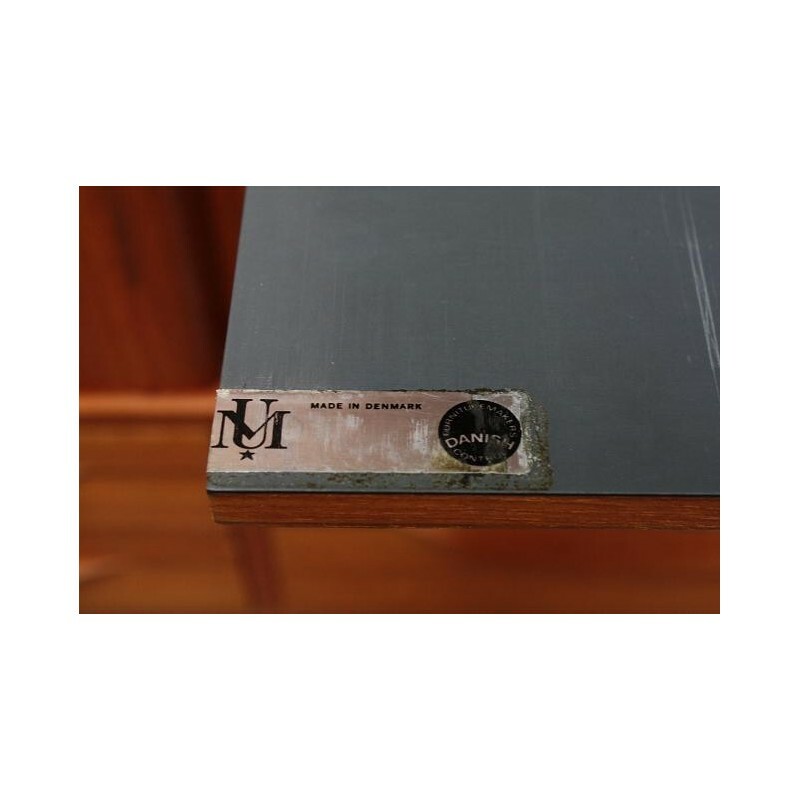 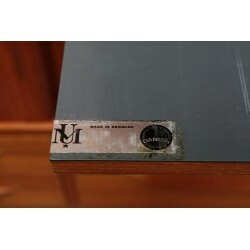 The sideboad is designed with great attention for detail, see for example the round sides of the slidingdoors. 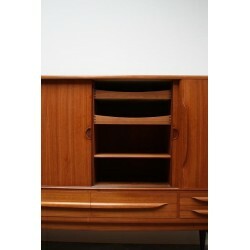 The cabinet is in a good condition and is marked ( see detailed pictures). 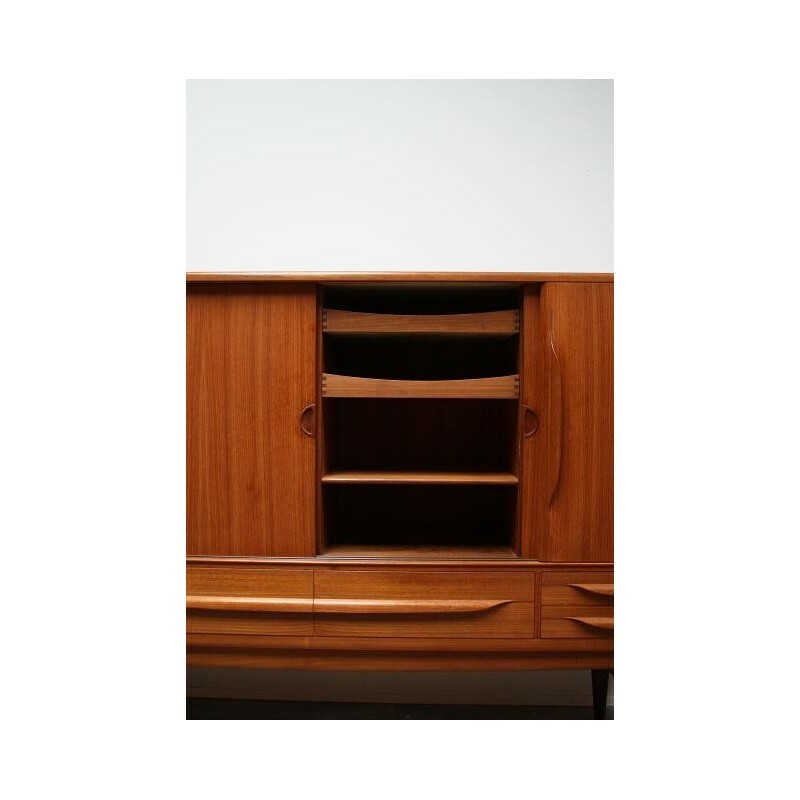 The dimension is 200 cm L/ 45 cm W/ 120 cm H.